​There is a crucial Champions League clash at Wembley on Wednesday night, as Tottenham and Inter go head to head in a game that could decide which team progresses from Group B. After picking up just four points from their first four games, Tottenham currently sit third in their group, three points behind Wednesday's opponents. A win for the visitors will secure their place in the last 16 whilst anything but a win for Spurs will essentially condemn them to Europa League obscurity. Interestingly, the last six editions of this tie have been won by the home side, and Tottenham will hope to maintain that run.  We're back under the Wembley lights on Wednesday night. Check out 90min's preview for Wednesday's clash below. After missing nearly two months of football, Jan Vertonghen was back in the matchday squad for Spurs' win over Chelsea at the weekend. Even though he didn't feature, his return to fitness will be welcomed by his manager and supporters alike going into this potentially season-defining week for their side. However, ​Tottenham still remain without defenders ​Kieran Trippier, ​Danny Rose and ​Davinson Sanchez due to long term injuries, whilst midfielder ​Mousa Dembele is sidelined with an ongoing ankle issue. Meanwhile, ​Inter have a near fully fit squad going into this tie and will be buoyed by the return of World Cup finalist Sime Vrsaljko, who missed their first two group games, including the home win against Spurs, through a knee injury. ​Tottenham ​Lloris; Aurier, Alderweireld, Vertonghen, Davies; Winks, Dier; Lucas, Eriksen, Lamela; Kane. ​Inter ​Handanovic; Vrsaljko, De Vrij, Skriniar, Asamoah; Vecino, Brozovic; Politano, Nainggolan, Perisic; Icardi. In the reverse of this fixture on match day one, Spurs threw away a 1-0 lead as they succumbed to two late strikes from ​Mauro ​Icardi and Matias Vecino. These two sides do have previous in the Champions League after being drawn in the same group in Tottenham's first ever Champions League campaign in the 2010/11 season. The two ties in the group between Spurs and Inter were two of the best games of the campaign, thanks mainly to Gareth Bale and his left boot. Tottenham topped that group ahead of the defending champions thanks to a 3-1 win over Inter on home soil and Pochettino's men will be hoping for a similar outcome on Wednesday. 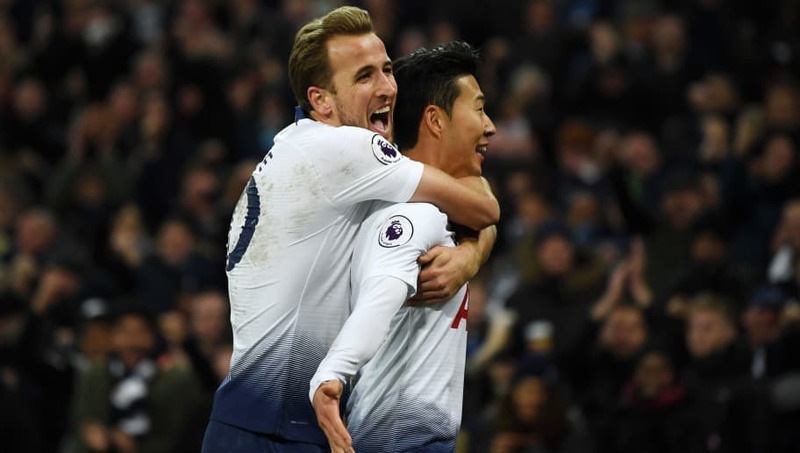 Tottenham are very much in form of late, winning their last five games in all competitions, including a memorable 3-1 win over London rivals Chelsea last weekend. Despite their impressive domestic form, Spurs have spluttered in Europe's elite competition, twice throwing away a lead to drop points on the road. However, a commendable effort by Pochettino's men last time out against PSV has given them a lifeline going into this must-win game and they will need a repeat performance if they are to stand any chance of progressing. Inter have a similarly impressive record of late, winning ten of their last 13 games in all competitions. They too sit third in their domestic league, but crucially are residing in second place in Group B, a position they'll vie for with Tottenham on Wednesday night. As Tottenham fans will know all too well, their side have had an irrefutable tendency to under perform in the really big games in seasons gone by. However, despite all the antics surrounding their new stadium, the north London giants are flying high right now and should be too much for this Inter side to handle. Even though Pochettino will likely have one eye towards the north London derby next weekend, it is unlikely to impact his team selection too much and his side should come away with the home win to keep their qualification dreams alive.